Reported by the BBC in 2010. Reported by the Telegraph Newspaper Jan 2019. My recommendation is for everyone to train balance, co-ordination, body awareness , slow focused movements and deep diaphragm breathing across all ages and stage of life. When we then reach our senior years, our bodies have not degenerated or aged as much and our confidence in movement whether walking, playing of training is good. Body and posture awareness (proprioception). Not relying on eyes/vision to move the body. Train to use body sensitivity/awareness/feel/sensations to move the body. Slow, focused, deliberate movement in full control. Strengthens the muscles to move as a unit (not in isolation as with lifting weights). Gives whole range of motion to ligaments, tendons, sinews and soft tissue. Increase in mobility, flexibility and range of motion. Lubricated joints through expansion/compression movement. Improved posture, especially head and torso posture which can lead to instability as the weight bears forwards in daily life, increasing the load to carry. Reduces muscular tension which causes rigid, awkward and unsteady movements. Movements come from the centre of gravity. Continual weight shifting onto each leg from 0% to 100% weight bearing. Movements are grounded not up-rooted. Safe knee movement to encourage non load-bearing on the knees. Greater use of the hip/pelvis to move the body. Correct diaphragm breathing techniques aid all body systems to function better (including clarity, focus, alertness and combating fatigue). Confidence is a huge factor in the fear of falling, the likelihood of falling if you think you will, means you may just take a tumble. When seniors have a fall, at that age confidence is easily lost and sometimes not recovered, even when injuries heal, the mind stays afraid, vulnerable and fragile. This type of fear, even though may not be completely realistic can lead to reduction in activity, less movement, decrease in social connection, deterioration in posture and body condition, as well as a sense of being ‘frail’. This is something we work on in Tai Chi and Qigong training, as the stronger your body is whilst moving as a whole unit, the more confidence and assurance comes from that. Building up to standing on one leg for a few minutes, with grounding, focus, body awareness, a good posture, stability and a calm mind, these all help the mind start to ease. In time, this reduces they psychological impact of the fear of falling. A lady in her early 50’s comes to 1 hour of class per week for 6 months, when she slips out of the shower, without a thought she finds herself balanced on one leg without falling. This she said usually would have resulted in a fall, injury or break. She said it was as if she had jumped straight into her Tai Chi posture, her knee and hip were soft, her muscles engaged and remained strong. She was more shocked to have not fallen. A senior citizen female Tai Chi student could not stand on one leg at all when she started class. Through patience, practice and perseverance, after 4 months her new party piece is to hold one leg up with the thigh parallel to the floor. Travel with Hope. An article written by a student who lives with Parkinson’s Disease. 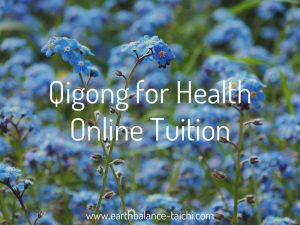 His experience of Tai Chi and Qigong for balance and fall prevention. Previous PostWhat is your Goal?